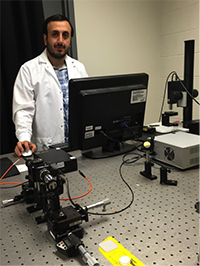 PhD Candidate Mustafa Unal in Dr. Akkus' Case Orthopaedic Bioengineering Laboratories won a Baxter Young Investigator award for his work on this Bone Hydration Detector, supported in part by the think[box] Student Project Fund. Traditional Raman spectroscopy offers a non-destructive way to measure chemical composition of various biological minerals and compounds, however protein-related background fluorescence makes it difficult to detect water content in biological tissues. A novel improvement to Raman spectroscopy has made it possible to detect water content in bone - and to uniquely measure different bound water components and freely flowing water. This novel measurement of hydration status was then used to predict bone quality. Using electronics prototyped in think[box], this Lexus car uses Lumilor electroluminescent paint to turn the heartbeat of the driver into a light show. You can see this vertical axis wind turbine in action at the Case Western Reserve University Squire Valleevue Farm where it powers lighting and data acquisition systems that allow oyster mushrooms to be grown year-round. Cost, location, and performance were carefully considered in the design process to reduce dependence on grid-fed, non-renewable energy during operation. The Bingham Shop and staff aided in the machining and fabrication of the finished product. This smartphone case is used in an eye clinic to help teach students and document eye conditions without the use of expensive photography equipment. 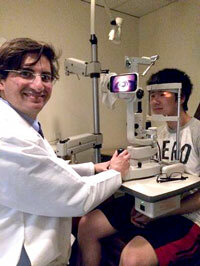 Dr. Rony Sayegh and Dr. Charline Boente of the University Hospitals Department of Opthalmology worked with Ethan Tu of Case Western Reserve University on this case which connects a smartphone to the slit-lamp - a magnifier used in eye clinics to examine the eye - allowing medical students and staff to acquire high-definition photos of the eye using any phone. The smartphone was scanned using a high-precision 3D scanner, then a case for the smartphone was modeled in AutoCAD and 3D printed. These sculptures were designed and built by an architect using 3D printed parts intermingled with wood pieces cut on the CNC table router. 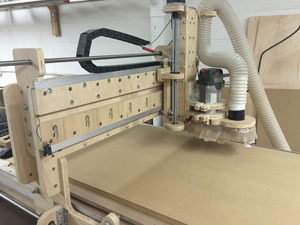 This 3-axis CNC table router was designed and built from scratch by students from the University of Akron. Fabrication occurred at think[box] where parts were cut using the ShopBot. 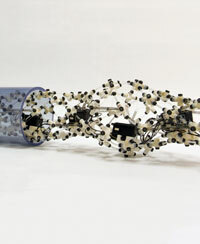 This project by the Biologically Inspired Robotics Laboratory at Case Western Reserve University seeks to develop a novel means of robotic locomotion useful in niche applications such as pipe inspection. Credit goes to Andrew D. Horchler, Akhil Kandhari, Kathryn A. Daltorio, Kenneth C. Moses, Kayla B. Andersen, Hillary Bunnelle, Joseph Kershaw, William H. Tavel, Richard J. Bachmann, Hillel J. Chiel, and Roger D. Quinn. 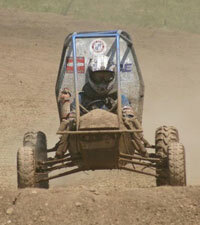 This vehicle competed in the Society of Automotive Engineer's annual mini-baja competition where CWRU students designed and built the car from scratch. Students 3D printed mold-making patterns, cut out welding fixtures in the laser cutters, and fabricated composite floor panels for the finished car using the CNC table router. “Reading Wetu” is a project created with the first grade class of Ms. Erin Shakour at Orchard STEM School, located on Cleveland’s west side. 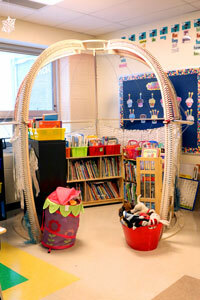 The Wetu occupies an 8 x 8 x 8 foot area in the corner of her classroom, and houses her library of children’s books. 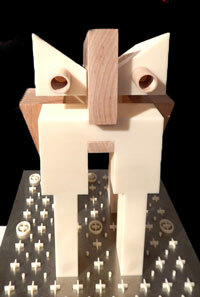 The structure is built entirely from 3/4" thick plywood and yarn, and was fabricated with the CNC router at think[box]. This project was a collaboration with Progressive Arts Alliance, a local arts organization whose focus is to provide STEAM (Science, Technology, Engineering, Arts, and Math) programming to the Cleveland Public School District. Frostbites Cafe pop-up restaurant was an experiment in modular dwelling construction for difficult terrain. Hollow plywood arches were fabricated using the CNC table router, and a novel scheme was employed to attach a canvas covering. Thanks to a permit through the Cleveland Metroparks, this structure was installed 1/4 mile north of Edgewater Beach Park, on Lake Erie ice measuring 24 inches thick. A team of 52 volunteers worked to build the structure and put on an event, which included free food and drink from the purveyors of The Root Cafe and Now That's Class. 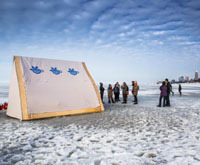 Over 400 visitors enjoyed Frostbites Cafe during the one-day installation on March 8 of 2015.